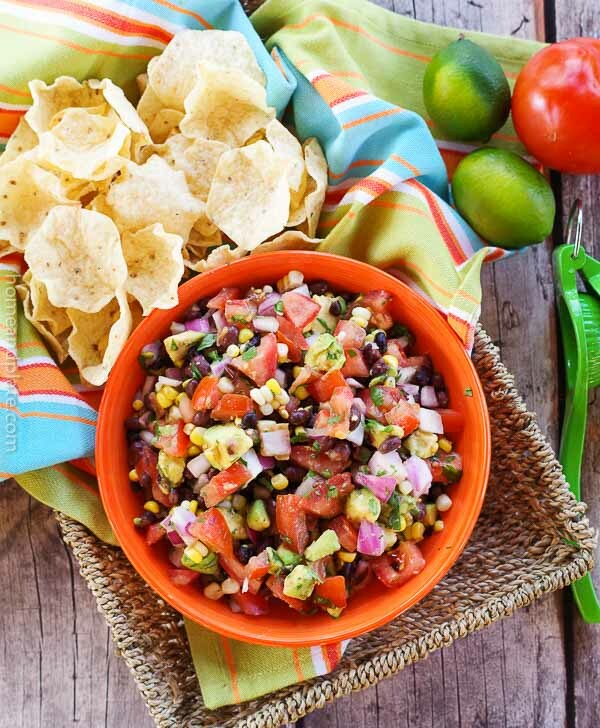 There is nothing better than a spicy kick of fresh tomato salsa when you need something to dip your chip into. 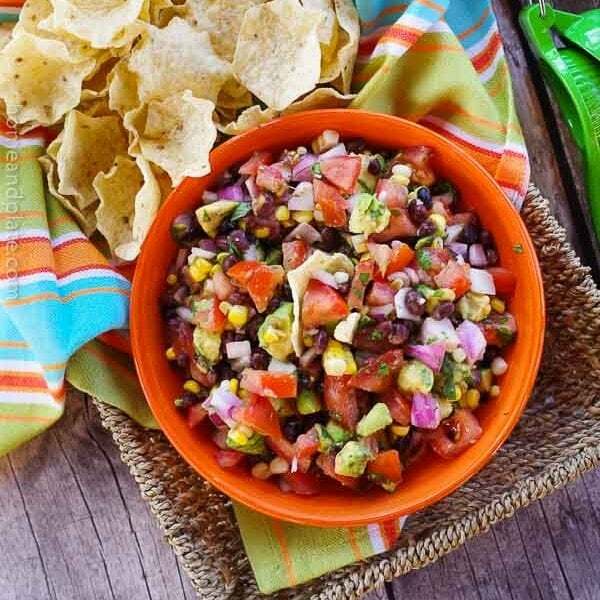 A chunkier kind of salsa, pico de gallo is fresh salsa also known Salsa Fresca. It’s a great way to eat your veggies everyday. It requires a few key ingredients including fresh tomatoes, onion, cilantro, jalapeno, salt and fresh squeezed lime juice. 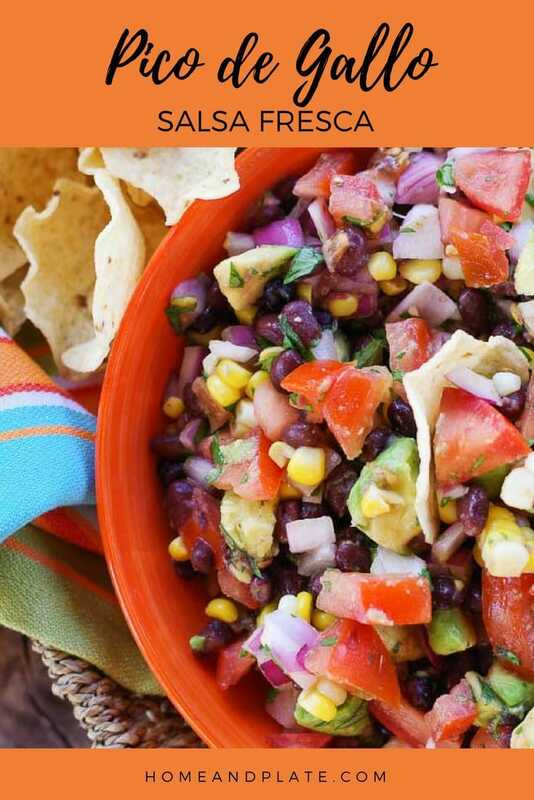 I also like to add in fresh avocado, black beans and summer sweet corn to kick it up a knotch! I love to serve this spicy salsa fresca with tortilla chips or spoon it over tacos or enchiladas. Now this salsa fresca needs to be made with fresh tomatoes. The best time to make this salsa is when you pick the tomatoes out of your garden. Don’t have a garden? Then head to your local farm market. Homegrown is best! Pico is always served chopped, not blended or pureed. Chop up the tomatoes with the pulp and juice! Next chop the onion, cilantro leaves and jalapeno peppers. You can use red onion or sweet, it’s up to you. You can also substitute serrano peppers for the jalapeno if needed. Squeeze fresh lime juice into the bowl and add kosher salt. It’s a key ingredient! 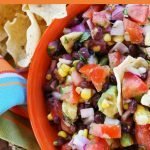 This is where my pico takes a turn…I love the taste of the black beans in salsa fresca and the avocado adds a creamy texture. Toss in sweet corn kernels from an ear of corn and it all comes together in the perfect blend of spicy, sweet and juicy. Although the long it sits the less chance you have any left to share…yes it’s that tasty! Want to learn how to make this Pineapple Pico de Gallo? 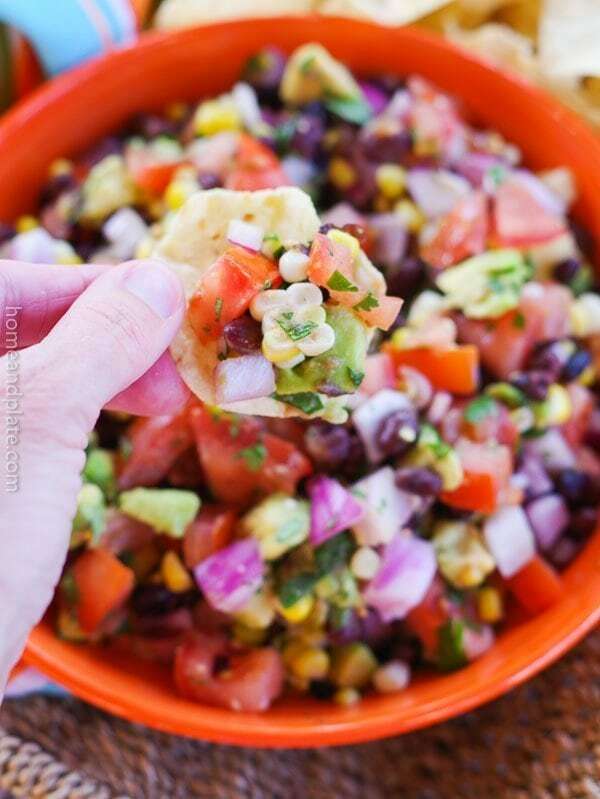 Pin it to your Appetizer or Mexican board to save for later! Combine all the ingredients in a nonmetallic bowl and mix. Add the lime juice, salt and pepper to taste. Serve with tortilla chips or use it on tacos or tortillas. 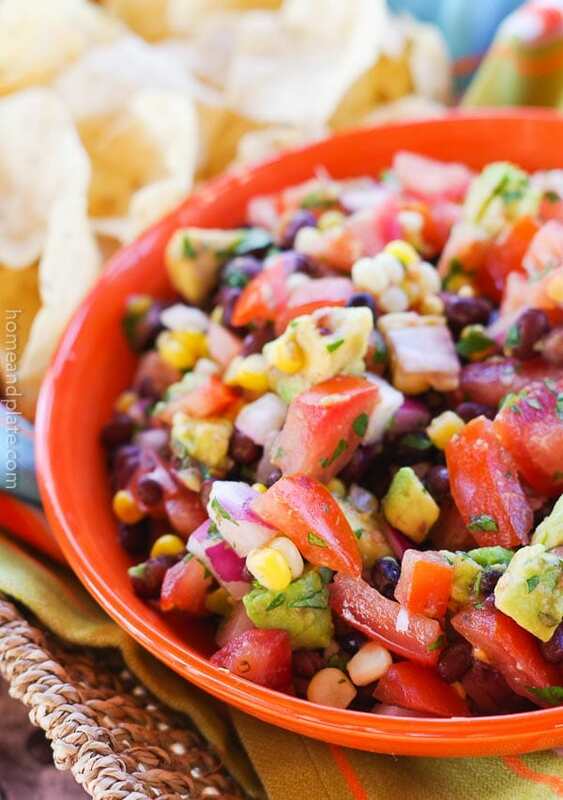 Homegrown tomatoes, sweet corn kernels, black beans, avocado, cilantro and lime juice is all you need to make the freshest salsa. this looks so fresh and flavorful – I could eat it for dinner! It would be great with dinner too. Over fish or chicken…yumm. I love pico! This looks so yummy! Yum! What a simple and delicious dip. Love that addition of avocados. I love pico de gallo! I keep a jar at all times! I agree. It’s the perfect snack.